Do Companies Get Special Incentives to Hire Veterans? Various authorities and organizations work hard to encourage companies to hire veterans, and in some instances, there are laws requiring veterans to get precedence over other candidates. 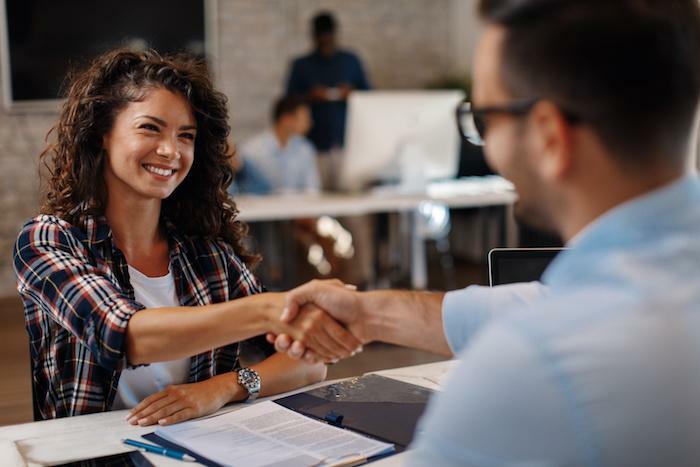 Knowing how to hire veterans isn’t only important for recruiters, but it helps for veterans to understand the rules and incentives too, so you can make the most of opportunities that come your way. In almost every federal hiring situation, veterans who served for more than 180 days get an extra five points on their application score. They get 10 points if they have a service-related disability or had been awarded a Purple Heart. These criteria also apply to state employees in most cases. In addition, approximately half the 50 states have laws that specifically require recruiters to give preference to military veterans. The majority of the other states leave it up to the companies, which are required to have a policy in writing that stipulates they take veteran status into account when hiring. Various financial factors help to ensure companies wanting to know how to hire veterans have the funding to do so. The Special Employers Incentive (SEI) program, for example, refunds up to half of eligible veteran candidates' first 6 months’ salary to companies that hire them. The purpose of the refund is to pay for training costs of veteran employees. Then there are tax credits, which fall under the extended Work Opportunity Tax Credit. These include the Wounded Warriors Tax Credit that pays up to $9,600 in incentives, and the Returning Heroes Tax Credit, which pays up to $5,600. Companies that engage in business with the federal government and certain states are required to favor veterans above other applicants. All contracts and subcontracts with a value of $25,000 or higher need to advertise positions available in places targeting former service members, and although there’s no quota system in place they also have to submit reports on their progress including veterans. This increases the incentive for smaller companies to employ veterans if they want to land government contracts. “Showing veterans preference” takes more than just accepting applications from candidates with a military background. It requires companies to actively target veteran applicants, as well as making their work environment veteran-centric. This includes accommodating issues such as PTSD, being flexible to enable reservists to fulfill their duties, or having a strong veteran support or mentoring program for members of staff. Companies offering appropriate recognition for military service or education about veteran services are likely to be more pleasant places to work for former members. In the final analysis, companies do get incentives to recruit veterans into their workforce, but they need to be sensitive to veterans’ feelings and take care in determining the appropriateness of mentoring, recognition or similar initiatives for their efforts to succeed. Visit our job board regularly to find companies that know how to hire veterans, and follow our blog and social media profiles to get news of jobs in your area.